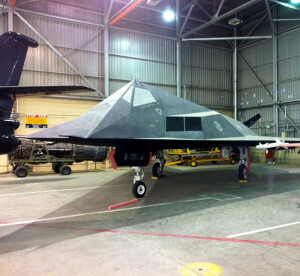 The Air Force Flight Test Museum located at Edwards Air Force Base, Calif., is currently raising money to restore the museum’s YF-117A. The museum took possession of the aircraft in 2008, and it was on display at the Blackbird Airpark in Palmdale, Calif.
After four years, however, the condition of the aircraft was beginning to deteriorate due to the harsh conditions of the Antelope Valley — intense sunlight, extreme hot temperatures in summer and cold in winter, plus the never-ending winds. At that time, it was decided to bring the aircraft to Edwards so that it could be undergo restoration. On the night of June 7, 2012, museum staff and volunteers braved a 35-mile tow that lasted more than eight hours under the cover of night in order to get the aircraft to Edwards AFB. 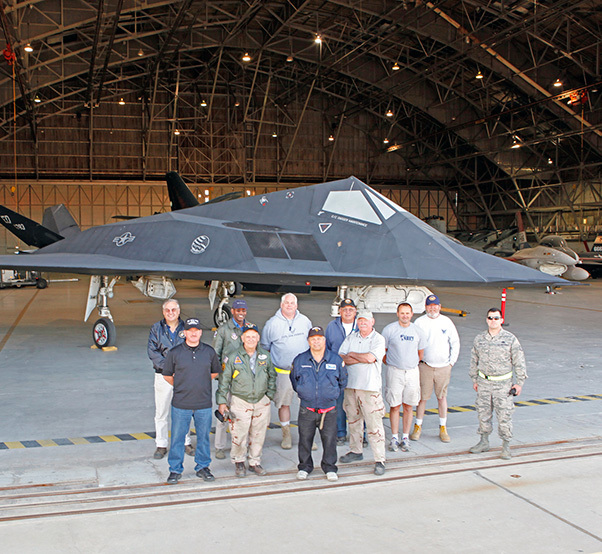 “The journey to Edwards was uneventful, thankfully, and we believe the Flight Test Museum set a new world record for the longest F-117 tow in history,” said a museum spokesperson. Since that time, the aircraft has been stored inside a hangar facility assigned to the museum where museum volunteers have begun the task of restoring this historic aircraft. 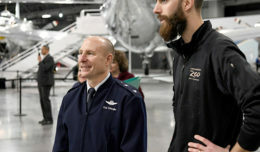 “Your financial help is needed in preparing this very historic aircraft for eventual public display in the Air Force Flight Test Museum’s new museum building, to be located outside the Edwards AFB West Gate and accessible to the general public,” said a museum spokesperson. There are currently more than 80 aircraft in the Air Force Flight Test Museum’s collection, with 41 on display — 36 at Edwards Air Force Base and five at Blackbird — and the remainder in storage or restoration. A U.S. Air Force F-117A ‘Nighthawk’ Stealth Fighter aircraft flies over Nellis Air Force Base, Nev., during the joint service experimentation process dubbed Millennium Challenge 2002. Sponsored by the US Joint Forces Command, the Millenniun Challenge 2002 experiment explores how Effects Based Operations can provide an integrated joint context for conducting rapid, decisive operations. The numerous volunteers, supporters and trustees of the Flight Test Historical Foundation are dedicated to preserving the history of flight test to inspire future generations. Foundation members and museum volunteers have put in numerous hours to sustain artifacts and one-of-a-kind objects that tell the rich history of aviation and flight test. 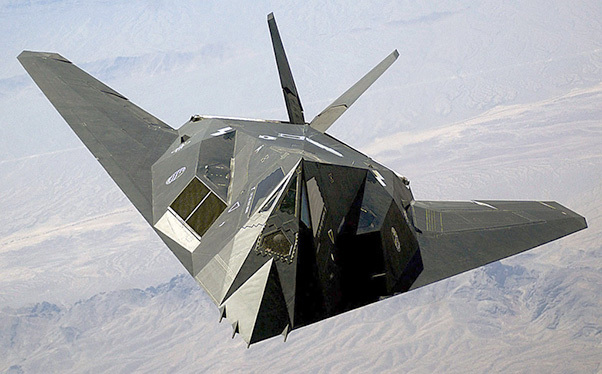 The fourth YF-117A SENIOR TREND full-scale development prototype of the Lockheed Martin F-117A Nighthawk, Scorpion 4, has a long and distinguished history. Built in 1979, it was first flown by Lockheed test pilot Tom Morgenfeld July 7, 1982. The airplane was permanently assigned to the SENIOR TREND Joint Test Force, known as the Baja Scorpions to serve primarily as a low observables “stealth” testbed. Following initial anti-radar and anti-IR trials, the airplane was used alternatively between LO tests and integration of improvements to navigation and weapon delivery systems. It was also flown in a Navy performance review to evaluate the F-117A for aircraft carrier suitability. In August 1986, Scorpion 4 was flown 32 times in a single month and by February 1987 the airframe had logged 600 flight hours. By March 1990, it had logged 900 hours. SENIOR TREND remained an unacknowledged special access program until Defense Department officials revealed its existence in a press briefing at the Pentagon in November 1988. At that time only a single dark, grainy image was released to news media. Air Force officials have recently identified the picture as a rare early photo of Article 783. Members of the Air Force Flight Test Museum along with volunteers pose with one of the last F-117s left in the United States Air Force inventory June 8, 2012. Tail number 783 was transported to Edwards from the AFFTC’s Blackbird Air Park in Palmdale, Calif. 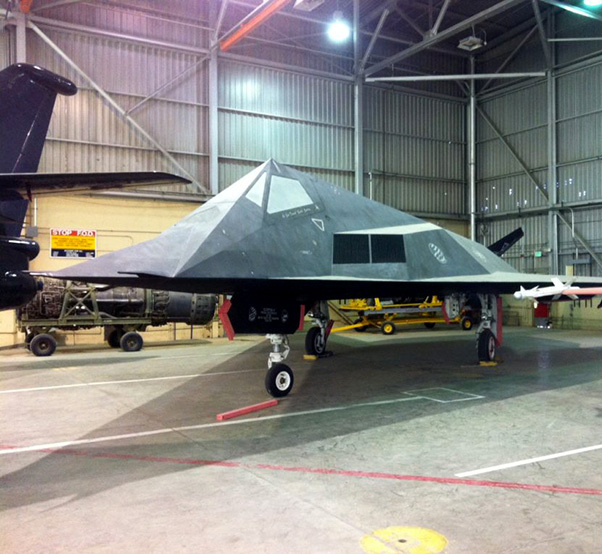 The stealth aircraft will be refurbished and put on display in the future. In April 1992, the Baja Scorpions relocated F-117A test operations to Air Force Plant 42 in Palmdale. The unit’s test aircraft included three of the original YF-117A FSD prototypes (782, 783, 784) and one production model F-117A (831). In March 1993 the unit was reorganized and activated as the 410th Test Squadron (later 410th Flight Test Squadron). The mission of the 410th FLTS includes testing new upgrades and modifications for the F-117A as well as functional testing of operational aircraft going through the Modification Redelivery Program. In 1998, Article 783 became the first F-117A modified in the Single Configuration Fleet program. The four-month test series evaluated an optimized RAM coating to improve maintainability and RCS. Article 783 was retired in March 2007 with 2,464.6 flight hours. 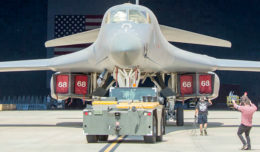 To ready Article 783 for public display, volunteers from the 410th FLTS spent seven months removing all radar-absorbent coatings and structures, and classified equipment then fabricating replacements using unclassified materials. The airplane was painted in 410th Flight Test Squadron markings. All RAM coatings were removed along with the nose assembly, wing edges, and rudder edges. The DLIR screen and canopy glass were replaced with sheet metal. The FLIR screen was replaced with an unclassified screen material. The pitot probes were replaced with replicas. The ejection seat and cockpit equipment have been removed, along with classified avionics. For more information on how to donate, and to see what other aircraft are being restored, visit http://afftcmuseum.org/get-involved/givetorestore/.